Having won 4 times, Josh is making his way up the Tournament of Champions tracker. See where he compares with the rest of this year’s champions! 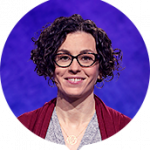 Correct response: Who is Alexander Pushkin? In the fall of 1836, Russian poet Alexander Pushkin (author of the play Boris Godunov and the novel Eugene Onegin) was facing scandalous rumours that his wife Natalia was having an affair with French military officer Georges-Charles de Heeckeren d’Anthès. In amongst the scandal was a letter lampooning Pushkin. Heeckeren was accused of being the anonymous author of the lampoon. In an attempt to save Natalia’s reputation, Heeckeren married Natalia’s sister Yekaterina, but this was not enough to settle the conflict, and Pushkin was killed in the eventual duel. In the aftermath, Heeckeren was removed from Russia and lived out the rest of his life in France, serving as a Senator in the Second French Empire from 1852 to 1870. 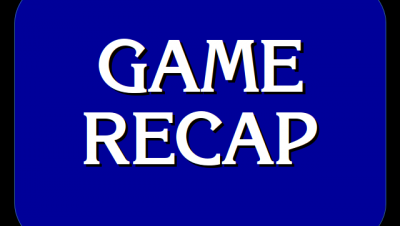 Scoring note: Clue 14 of the Double Jeopardy! 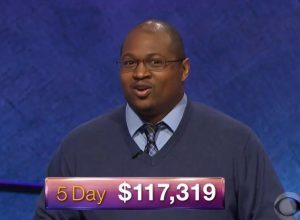 round saw the judges refund Hermine’s $800 neg on that clue, as while her answer was not correct, the judges felt her answer was not incorrect either. The rules of the show were followed and no contestant was disadvantaged. Special thanks to Mark Barrett for providing me with a full chart of this game. 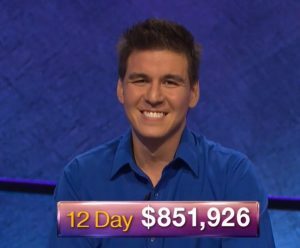 12 Comments on "Today’s Final Jeopardy – May 22, 2018"
To what extent (if any) does Jeopardy wish to be “family-friendly”? 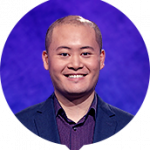 This Final Jeopardy seems to me like it belongs on some troll-infested dark corner of the internet, rather than on “America’s Favorite Quiz Show®”. The use of the word “cuckold” in the clue is what is setting me off, in particular. They can do what they want, of course. But if they keep walking further down a more racy path for their trivia show, I’m not on board with that. I wonder if the attention given to stuff like “HQ Trivia” and the film “Game Night” has led to a decision to include more “Adult” content on Jeopardy, going forward. I hope not. J! Archive reveals four such hits for “cuckold” dating back to 1998, three in the context of “man with an unfaithful wife”, and a fourth quoting Shakespeare’s Othello. I’m not entirely sure that this would be a winning battle for you here, Scott. Fair point, they have used the word before. But the reason I didn’t like this usage in particular is because the clue so directly references the cruelty, despair, and death which frequently follows those who choose to engage in unfaithful sexual relationships. The previous references in shows #7330, #6003, #3117, and #4948 do not so directly reference those dark consequences of sexual depravity. Bad things happen in this world, frequently. I know that. I just don’t want them slipped into my entertainment, that’s all. 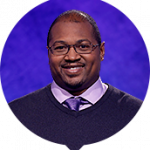 Jeopardy is typically a happy, peaceful time of the day for me. I’d prefer it stayed that way. I get the point you’re making, but if you’re not a solver of the NY Times crossword, then you probably missed the kerfuffle last Sunday when the work SCHMUCK appeared in the puzzle ( see 83 Across at https://www.nytimes.com/svc/crosswords/v2/puzzle/15136.ans.pdf ). What is this Coryat we keep seeing? Where can we find Mark Barrett’s full recap? Thanks. I’ll check that out and share it with family members. Who’s the new guy? What a piece of work! Um, I’m not sure who you’re referring to, but please do try to be more respectful of other posters here.